A maritime border case between Kenya and Somalia begins Monday at the International Court of Justice in The Hague in what could define the ownership of an area with oil and gas potential. 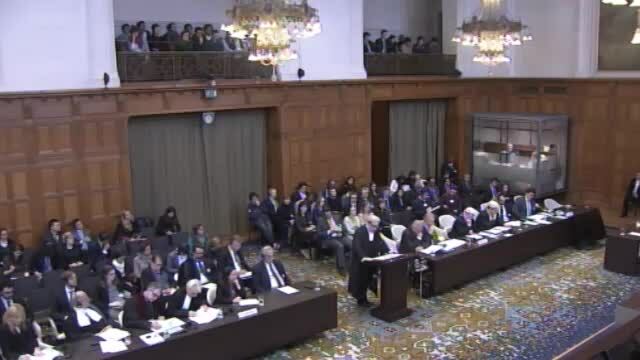 The ICJ will hold hearings up to Friday to consider submissions on the case that was filed by Somalia in August 2014 requesting the court to delimit the maritime boundary. Somalia wants the border to continue along the line of the land border, to the southeast diagonally and says a horizontal border would be unfair. Kenya, however, wants the sea border to go in a straight line east, a boundary that has existed since 1924. Kenya wants the case struck out on grounds that a 2009 agreement with Somalia stated that the dispute should be settled by negotiation and not by recourse to the court. “Kenya objects to the court hearing the case, which it considers to have been instituted in violation of a 2009 agreement between Kenya and Somalia on the subject,” the government said in a statement Friday. Kenya will be represented by Attorney-General Githu Muigai and a team of international lawyers. The area, which has potential reserves of oil and gas, stretches for more than 100,000 square kilometres. Should the case be determined in Somalia’s favour, Kenya will be left with a small triangle in the Indian Ocean for mineral rights, losing a large section that holds hydrocarbon potential. Kenya has already licensed several companies to prospect for oil in the disputed patch of the ocean as part of its ambitious plan to search for oil and gas both on and off-shore. An agreement reached and deposited with the Law of the Sea Commission in New York in 2011 after diplomatic negotiations was scuttled by Somalia’s parliament, setting the stage for the suit at the UN’s highest judicial body. 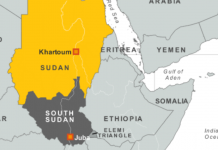 The pact stated that the border would run east along the line of latitude but the Somali parliament rejected it and the UN refused to endorse it, terming it “non-actionable”.